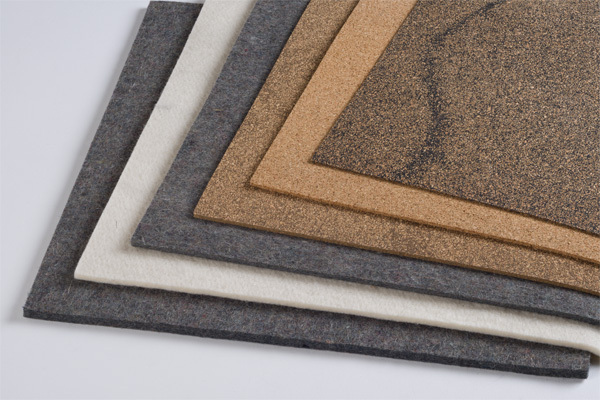 Industrial felt has many applications in cushioning and lubrication. 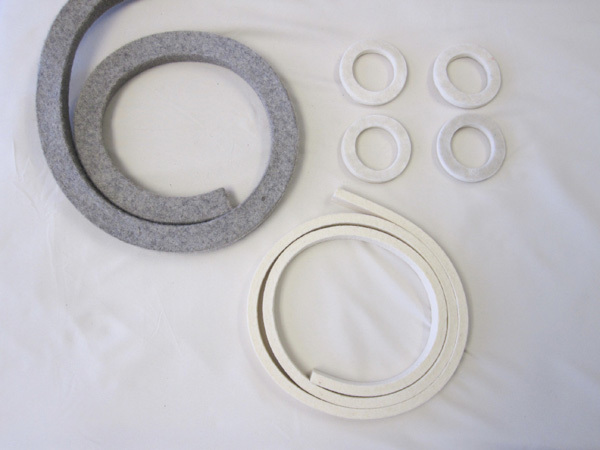 We can supply felt in sheets, rolls, strips and cut in almost any shape. We also can apply adhesive to the products. Industrial felts are available in a range of hardness or firmness coded F-1 to F-26 in thicknesses from 1/8” to 1” and in grades 50 to 55 in thicknesses 3/64” to 3/32”. F-1 and F-50 are the hardest. The color varies by grade from white to gray and black. in many sizes and thicknesses. Adhesives can be applied to these.